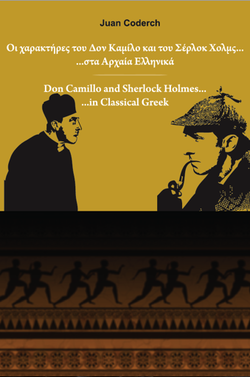 This book is the translation of one of the funny stories of Don Camillo, by Giovanni Guareschi, into Classical Greek. It is published together with the translation of Sherlock Holmes. Published by: Metheksis Editions, Thessaloniki, Greece. The chosen story is "The Procession", a short tale in which Don Camillo, the conservative priest of a small Italian village, and Peppone, the communist major of the village, will clash again in one more of their usual and funny confrontations. The book has a bilingual introduction both in Modern Greek and in English.